This year's Coppa Italia marked the first time the tournament has ended with a Rome derby and thus the first time both participants played the final in their home stadium (since the Stadio Olimpico is always the host site). Given the fact that was not just a match between the fiercest of intracity rivals, but one with a trophy on the line, local authorities anticipated an especially combustable atmosphere. Judging by the frightening array of crude weapons confiscated by police before the match, it seems the historic final between Roma and Lazio could've been ruined before it even began. Of course, any Rome derby is bound to include a variety of violence of weaponry. 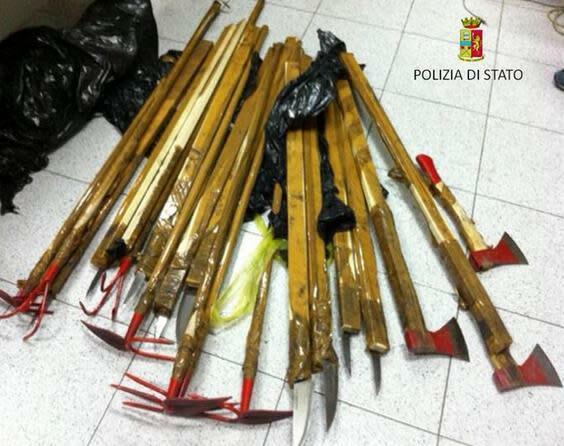 This time, however, police confiscated garden tools, kitchen knives and hatchets all taped to sticks for maximum stabbing reach from ultras under the Ponte della Musica. 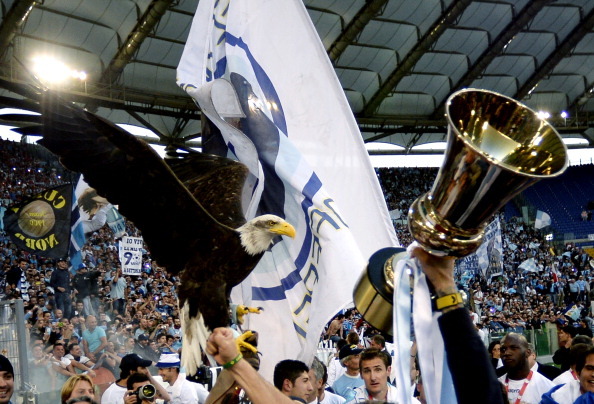 The match ended with a 1-0 win for Lazio, giving them their sixth Coppa Italia and first since 2009. Senad Lulic's goal in the 71st minute proved to be the difference and as a result, Lazio have earned a spot in the Europa League. Roma, who finished sixth in Serie A this season (one spot ahead of Lazio) will miss out.